Para//el Room is an exhibition that stems from a celebration of the DNA bookshop, the act of collecting books, and creating a space for research. 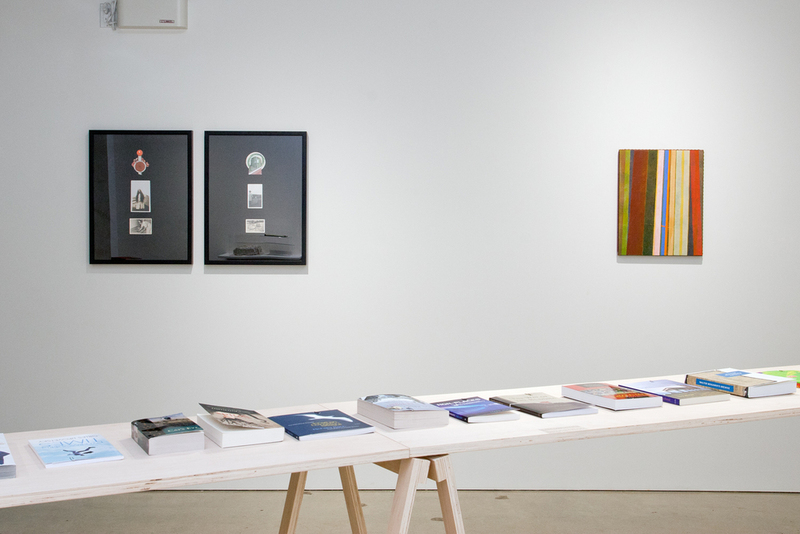 Adjacent to the gallery, the bookshop is a dedicated area for the dissemination of artists’ publications and texts on contemporary art + theory. 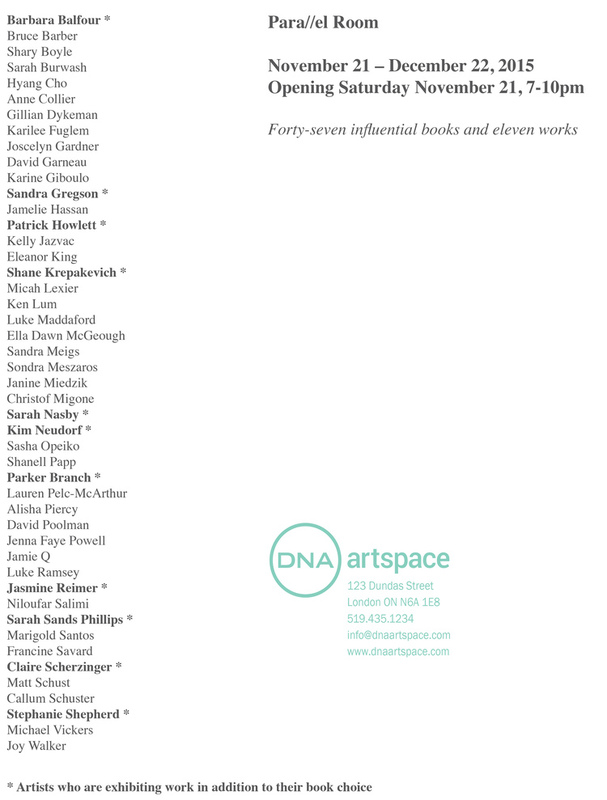 For this exhibition the bookshop has been extended out into DNA’s main floor gallery. 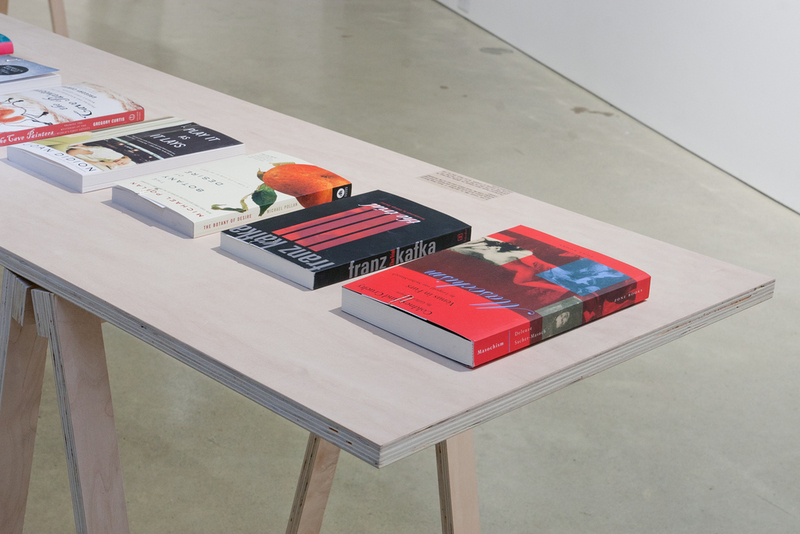 The artists listed have been invited to recommend one book title that has been influential to their art practice. Copies of the books are displayed for visitors to read and contemplate the archive. From this group of artists, eleven individuals are exhibiting a work that relates to their book choice. 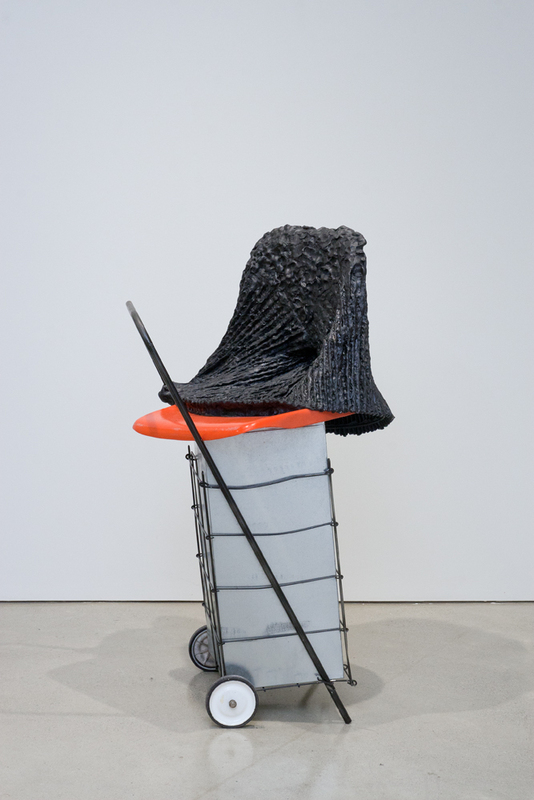 This collection of pieces highlights the important research that runs alongside studio practices. All of the books and works are available for purchase. Light Prints, 2012. Letterpress prints on paper, 9x9 inches (framed) $680 per framed print. Book: Faulkner, William. As I Lay Dying. Untitled, 2014. Digital Photograph, 8 x 10 inches (edition of 3). Book: Stewart, Susan. On Longing: Narratives of the Miniature, the Gigantic, the Souvenir, the Collection. Burrows Tail, 2015. Collage, found photographs, cowhide, 18 x 24 inches. 129, 2015. Collage, found photographs, cowhide, 18 x 24 inches. Book: Díaz, Eva. The Experimenters: Chance and Design at Black Mountain College.